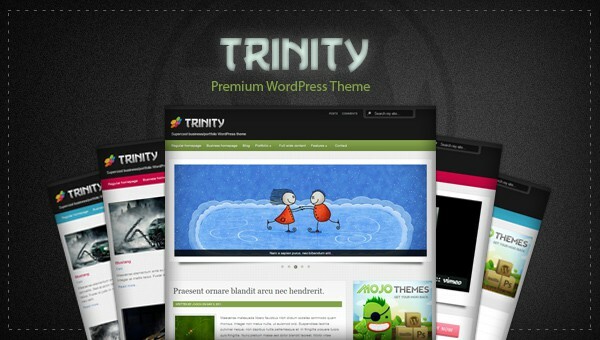 Trinity is a premium business/portfolio WordPress theme created for you. 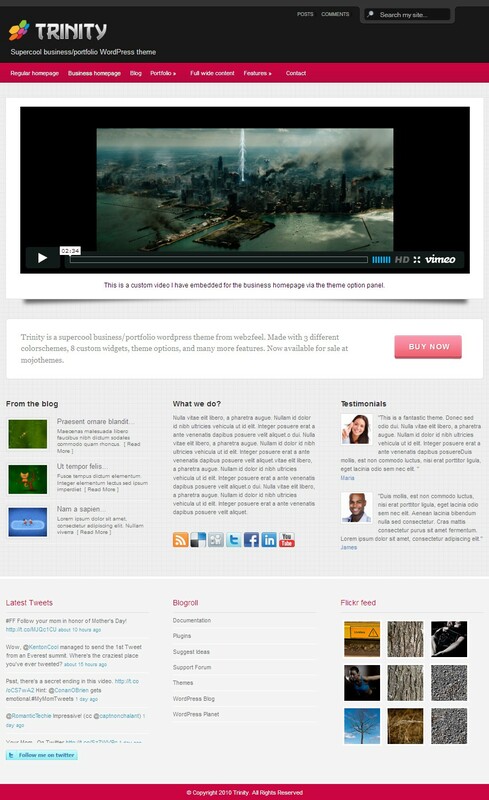 This is a feature packed theme that can transform your blog to an amazing business website. The template comes with 2 optional homepages and lot of custom widgets , custom templates, shortcodes etc. Following are the requirements to use the Trinity theme. Please read it before purchasing the template. Theme documentation and link to support forum is provided with the theme. Please read the documentation before installing the theme. Rate my theme as you like it, it is an encouragement for me to bring you more better themes in future. The styleswitcher used on the theme preview is not available on the theme download pack. It is only for the preview purpose.